I or AI is Tamil film directed by Shankar, The film stars Vikram and Amy Jackson in the lead roles along with Suresh Gopi, Shanthanam and Upen Patel in supporting roles. Release should be in April of 2014. Vikram and Shankar worked together on the film Anniyan. Vikram's appearance for the film is being kept under wraps, but there are some stills of Amy Jackson, Suresh and Upen on behind the woods (not looking forward to having Upen Patel in this). Is it the same Upen Patel who had small roles in a few forgettable Bollywood films?? I saw him in Namaste London and Ajab Prem Ki Ghazab Kahani - he didn't make a huge impact. He is very beefy so maybe he will be Vikram's nemesis. 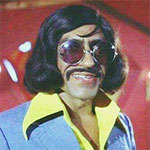 Shankar's choice of casting Patel will probably work if he plays a character like Viviek in Krrish 3. He speaks English with a Brit. accent which may be useful. Whatever the case Vikram is a powerhouse so Patel's deficiencies will be covered (I hope). Just rewatching sections of Ravaanan and marveling at how much better Vikram is in that role than Abishek Bachchan and how his performance completely transforms the film. Amazing really. I've seen photos of Vikram and he looks emaciated - maybe he will be an old man (as some have suggested). In his healthier avatar (for this film) he is also quite thin and model-like. I hate Santhanam, and I'm not so keen on Amy Jackson, but I'm looking forward to this anyways because of Shankar and AR Rahman. A long time ago on the old forums someone said they wanted to see an Indian version of Beauty and the Beast-they may even have mentioned Vikram in the lead. They're about to get their wish, it seems. When director Shankar is at the helm of affairs, expect the unexpected. His upcoming flick I The Movie promises some never-seen-before visuals and special effects. More than anything, it’s the hero Vikram’s deadly, scary and brawny avatars that’s left many rubbing their eyes in disbelief. The teaser of the film has already whetted the appetite of the viewers, who have been eagerly waiting for this Vikram-starrer made on a lavish scale. The actor has prepared arduously for the role that demanded a lot of hard work on his part. In I, Vikram has two dreadful looks. One is of a werewolf and the other of an eyesore hunchback. The credit to create both the looks goes to Weta Studio, a New Zealand-based company famous for their work in movies like Planet Of The Apes, Avatar and Lord Of The Rings. “We wanted aesthetic eyesorish looks,” P C Sreeram, cinematographer of the movie said in the “Making of I,” an audio-visual presentation. Director Shankar said he approached Weta as the job was challenging. “This is the first time Weta is doing an Indian film.” Must say, the results are astonishing. Vikram even gave a proper peek at his werewolf look at the music launch of the movie where he even danced with Amy Jackson. “I was getting ready in this getup from 4 p.m. in the evening. It takes so much of time to put on the makeup. The entire process takes about four hours every time,” Vikram told the media people after the launch. The actor later thanked Weta for his incredible makeover. Weta Studio has won academy awards for best visual effects for movies like James Cameron’s Avatar and Peter Jackson’s Lord of the Rings. Yeah, this movie, Vijay's Kaththi, and Shahrukh's Happy New Year are all releasing in the same weekend. Going to be interesting. Not keen on the continuation of white models playing Indians (when will the madness stop?) but the effects look great and damned if this doesn't at least look interesting. I did listen to the soundtrack, was rather disappointed but maybe it'll grow on me.